One of the BEST football party dishes is spinach artichoke dip, which is also one of the highest calorie party appetizers that you could eat. It’s deceivingly unhealthy, because with Spinach and Artichokes in the title, you typically think it can’t be *that* bad. To give you a little perspective, in there is 312 calories, 19 grams of fat, 26 carbohydrates, and zero vitamins in ONE serving of Ruby Tuesday’s Spinach Artichoke Dip. Believe it or not, Chili’s Hot Spinach and Artichoke Dip has 1,130 calories, 90 grams of fat, 2,460mg of sodium, and 40g of carbohydrates in just one serving! Disgusting when you think about it. 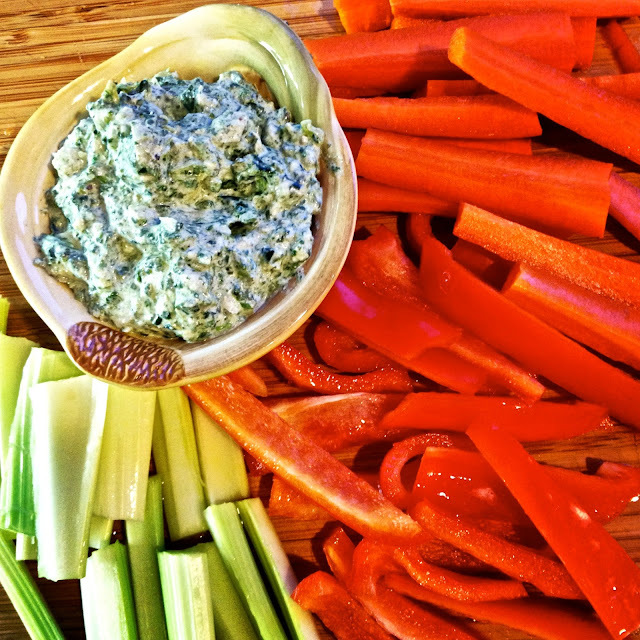 However spinach dip tastes so good, and it’s great for parties. Instead, try this healthy recipe below for your SUPERBOWL 2013 party, and I guarantee people will LOVE it. It tastes just as good, if not better than spinach dip recipes that are loaded with fat and carbs. 1. Saute onion and salt in a frying pan over medium heat, stirring until it is browned. This takes awhile, about 10-15 min. Add garlic when the onion is nearly done, and saute for another minute or so. Cool the mixture. 2. Blend yogurt, cottage cheese, and mayo until smooth in a food processor. 3. Squeeze the defrosted spinach. This part is important but kind of gross. Be sure to wash your hands before you attempt this. (I know squeezing it is annoying and gross, but it is completely necessary, I promise). 4. Add the cooled onions and squeezed spinach to the mixture in the food processor. Blend until almost smooth. 5. Place dip in bowl and add water chestnuts and optional artichokes. 6. Season with salt, pepper, and lemon juice.